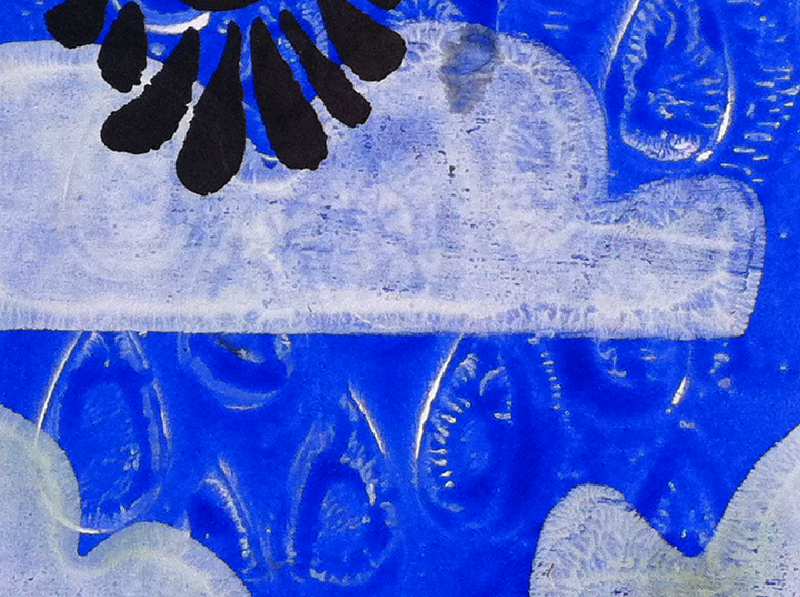 It started out as a print I made on my Gelli Plate looking like this. 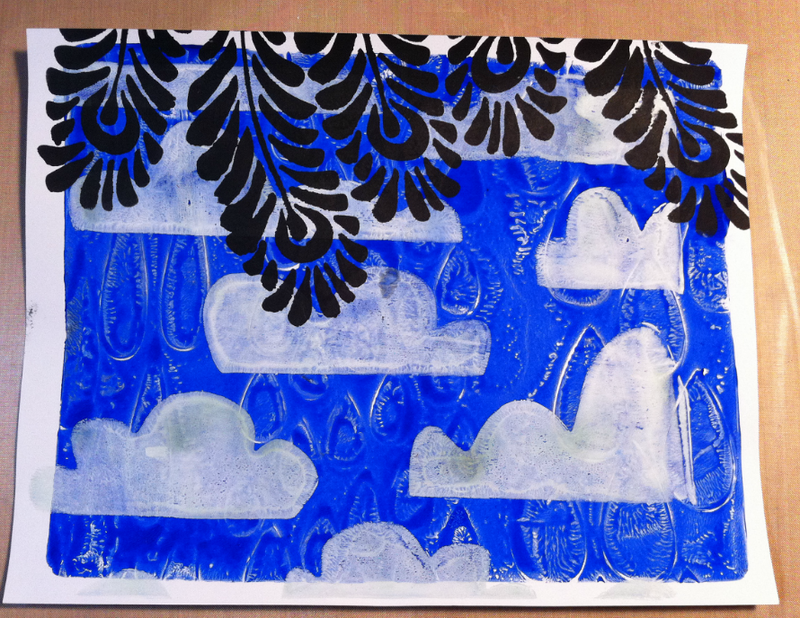 The clouds and blue were from the Gelli Plate using a few different Crafter's Workshop stencils. Then I stenciled the black on. The drops were very interesting, but I thought that the rest of the blue background didn't let them shine through so I painted around them with a lighter blue metallic. The words were painted with Silks by Luminarte. I like your thinking. 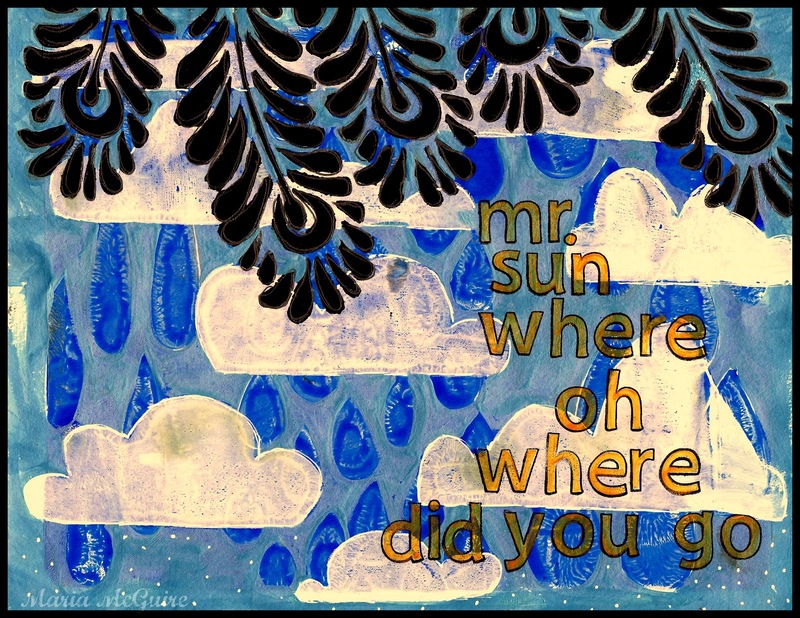 no sun? maybe you can make your own next time. Your art is powerful! You brought the sun out! I love how you brought out the rain drops- that makes them pop! And the silks- love how they let bits of what is below them peek through!